Jarosite, from Cyprus | Earth Pigments | Pigments | Kremer Pigments Inc. 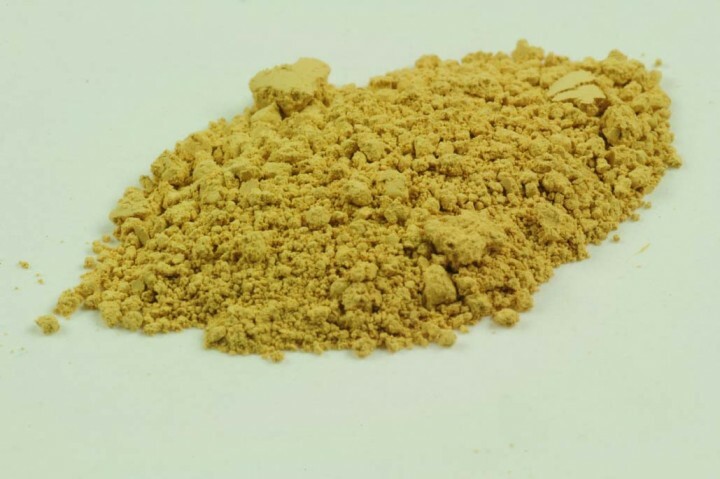 Lemon Yellow ochre is the clearest yellow ochre occurring naturally, without the deeper tone of French ochres. Because of the political situation of Cyprus the mining of this rare and beautiful earth has been neglected, but now a small amount of manual production is once again available. Other deposits of natural ochre of this clarity may exist, but the Cyprian Limonite has always been famous for its unique hue. Customer evaluation for "Jarosite, from Cyprus"